Independence from Spain did not come until three centuries later in 1822. 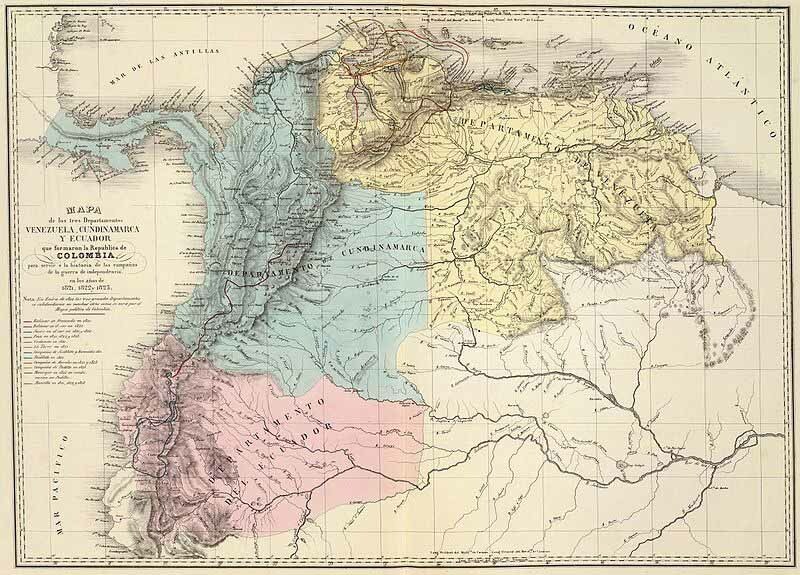 From 1822 until 1830 Ecuador was a part of La Gran Columbia which was an attempt under Simon Bolivar to unite the territories that are today Venezuela, Panama, Columbia and Ecuador. But by 1831, after the death of Simon Bolivar, Ecuador had become an independent nation-state. “The history of the republic has been turbulent, and revolution has succeeded revolution with wearying rapidity. The struggle, on the whole, has been between the Liberal and the Clerical parties, with first one and then the other in the antecedent. Even today [ie: 1920], with a Liberal constitution and with the Liberal party in power, the Clericals remain strong and are a force to be reckoned with in all endeavors to uplift and educate the people. Perhaps no better insight into this turbulent history of Ecuador could be obtained than that which is secured through the study of the administrations of two of its presidents, Garcia Moreno, whose power terminated with his death by assassination in 1875, and Eloy Alfaro, who was done to death by the soldiers and mutilated by the populace in 1912, after having served two terms as president and secured the Liberal constitution by which the country is now ruled. Art. I. The Roman Catholic and Apostolic religion shall continue to be the religion of the Republic of Ecuador, and it shall conserve forever all the privileges and prerogatives which belong to it, according to the Law of God and the canonical rules. Consequently, no other heretical worship shall be permitted nor the existence of any society condemned by the Church. Art. II. The instruction of the youth in the universities, colleges, faculties, public and private schools shall conform in all respects to the Catholic doctrine. In order that this may be assured, the Bishops shall have the exclusive right to designate the texts that shall be used in giving instruction, both in the ecclesiastical sciences and in the moral and religious instruction. In addition, the diocesan prelates shall conserve the right to censure and prohibit, by means of pastoral letters and prohibitive decrees, the circulation of books or publications of any nature whatsoever, which offend the dogma or the discipline of the Church or public morals. This Concordat (see full text here) was the cause of intense difficulties and disruption in the political and social life of Ecuador in the 19th century and beyond. It deprived Ecuadorians of freedom of conscience and expression and of many fundamental human rights. Garcia Moreno’s first term had been so repressive and his tactics so brutal that he and his partisans within the overall “conservative” movement came to be known as the “Terrorist Party”2. After Garcia Moreno’s assassination, President Veintemilla initially attempted to reverse many of his repressive policies but this effort met with so much resistance from entrenched powers in Ecuador that Venitemilla capitulated and gave up on the effort. 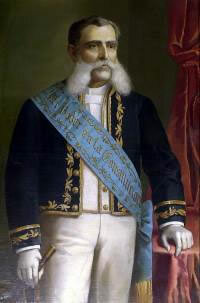 In the mid 1880’s, President Caamaño – who was hailed as “Conservative and Catholic” – encountered partial success in his efforts to restore many of the policies of Garcia Moreno including renewal of the concordat but by this time the opposition was gathering strength in Ecuador and so within the “conservative” party a faction formed aimed at pushing the conservative party in a more moderate direction. This faction within the conservative party was known as the “Progressives” and the next two presidents were from the “Progressive” faction of the conservative party. But during the term of President Cordero (1892-1895) the alliance between the “progressives” and the “terrorists” within the “conservative” movement weakened and by 1895 it broke as a result of a scandal that came to be known as “The sale of the Flag” or the “Esmarelda Affair”. During the presidency of Cordero arrangements had been made for Ecuador to act as a secret intermediary in the sale of a Chilean battleship (the “Esmeralda”) to Japan – an illegal transaction due to Chile’s declared neutrality toward the Sino-Japanese War. Secret arrangements were made so that the transaction would take place quietly in the waters off the Galapagos using Ecuador’s flag instead of Chile’s (for a price). 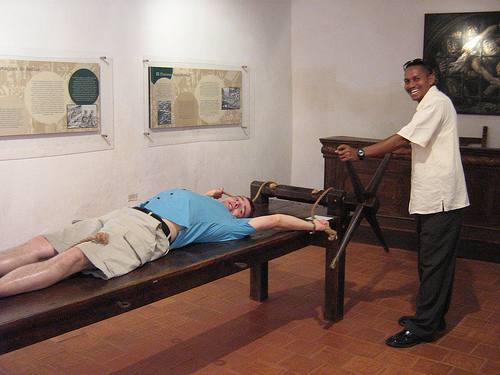 When Ecuadorians found out about it there was an outrage (See NY Times articles in notes below). Cordero was ousted from office and after a considerable period of fighting, Eloy Alfaro -newly returned from Panama- emerged victorious and seized the presidency. During the ensuing “Liberal Revolution” sweeping changes were made in the relationship between church and state. But after Alfaro’s first term there was a breach in the Liberal party under the presidency of President Plaza who did not share in Alfaro’s determination to lift the burden from Ecuador’s poorer and underprivileged classes. In 1912, after a coup, the complex web of power structures in Ecuador exploded in a month of barbarism culminating in the brutal mob execution and “dragging” of Alfaro and his closest supporters. NOTE: The section on President Cordero was corrected (2018) to remove implications that he had been directly responsible for the “Esmerelda Affair”.